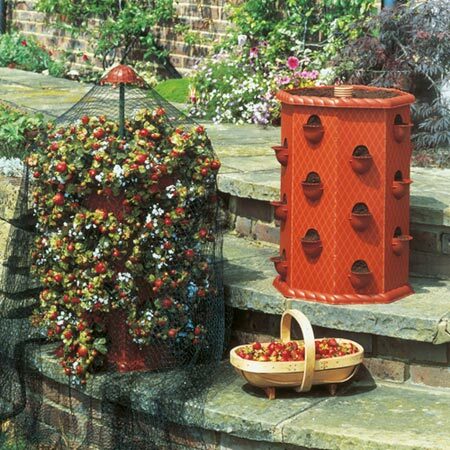 An attractive Victorian style planter for growing 32 strawberry plants on a patio or balcony. Complete with top quality netting and support system for protecting the fruit. Once planted, will produce fruit year after year. Size 60cm high x 43cm diameter. 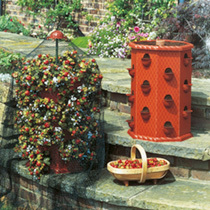 Made from durable polypropylene. Self-assembly. We suggest you may find it helpful to have the assistance of a second person for easier assembly. Requires 80 litres of compost.